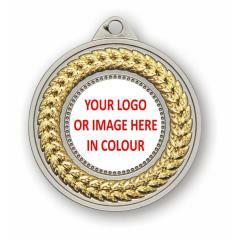 Award this gold handshake medal to your top achievers! The stars are cut out of the medal. Available with your choice of ribbon colours.